Our library stack of picture books is ridiculously tall this week! I think our librarian must have let us check out over the limit. I had just payed $9.00 is fines, so maybe she figures I’m good for the library’s economy. It’s a good thing we had so many books, too, because we couldn’t go anywhere for four days with all the flooding around us. It’s been hard to watch, but we have so much to be thankful for and one of those things is that we had these three favorite books to read during our cabin fever. 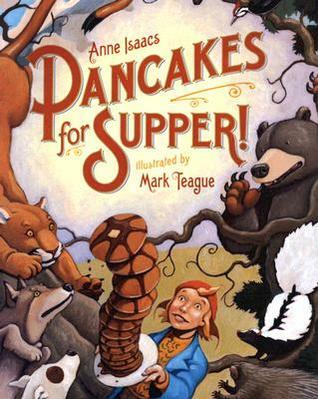 Pancakes for Supper – I picked out this story without looking inside because I thought, “Hey, now the kids will know we’re totally normal and pancakes are a real supper food!” It turns it, this is a fun American tall tale version of Little Black Sambo that my 4-year-old son absolutely loves. After he reading it the first time, he laughed out loud so suddenly and loudly, it made me jump! The words are simple yet descriptive and the illustrations of the animals dressed in the main character’s clothes are hilarious. We give it two thumbs up. 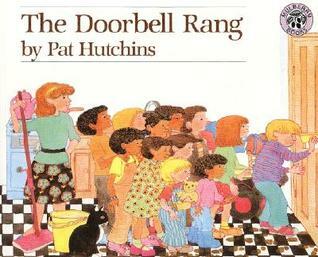 The Doorbell Rang – Pat Hutchins wrote and illustrated some awesome books in the 1970s that we’re just now discovering. This one is about two children with a plate full of cookies, a lot of neighbors who ring their doorbell, and a good ability to do division. I love the community aspect of this book, the mother’s and children’s sharing attitudes. Side note: if you’re looking for a story book about math, this is a great one! Another side note: you will crave chocolate chip cookies when you’re done with this one. Another of our favorite Pat Hutchins books is Don’t Forget The Bacon. 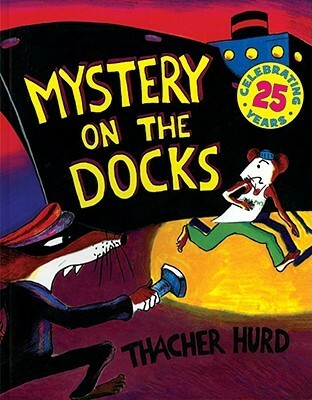 Mystery on The Docks – A kidnapping, an opera singer, a bunch of boats, and a gang of rats…all children will love this book!My childhood is on every page of this book. I must have watched The Reading Rainbow that goes with it ten times at least because I can hear all the sound effects in my head as I read. We highly recommend both the book and The Reading Rainbow episode! That’s all from us this week! I hope to update my own “what I’ve been reading list” soon! Yes!!! Reading Rainbow!! That is where u have seen that book before!! Previous post Introducing Three Book Thursday!